Thank you all for your well-wishes for little Ruby. She did have another seizure last night…ON the medication. Luckily, it was noticeably less severe. It is our hope that as the next week unfolds, she will begin to build a constant therapeutic level and get back to being herself. Keep those prayers coming! We appreciate it. As I browsed the Food Network website waiting for my flight home from Memphis two weeks ago, I found this delicious recipe by Emeril: Shrimp with Linguine in a Pesto Cream Sauce. With our Girls Cooking Night coming up that weekend, I decided this recipe would serve as our main course! Brooke, Lauren, Abbey, Sarah, and Bonnie – call them, email them, facebook them…they’ll tell you. It was great! In fact, a jar of pesto went home with each of them, along with a promise to get this recipe posted ASAP. Here it is girls! Emeril really nailed it with this one! Set a large 1-gallon stock pot of water to a boil and add the kosher salt. Place the linguine in the pot and stir the pot until the water returns to a boil. Cook the pasta until tender, but with a bit of resistance (al dente), about 12 minutes. While the pasta cooks, prepare the sauce. Set a 12-inch saute pan over medium-high heat. Add the butter and olive oil to the pan. 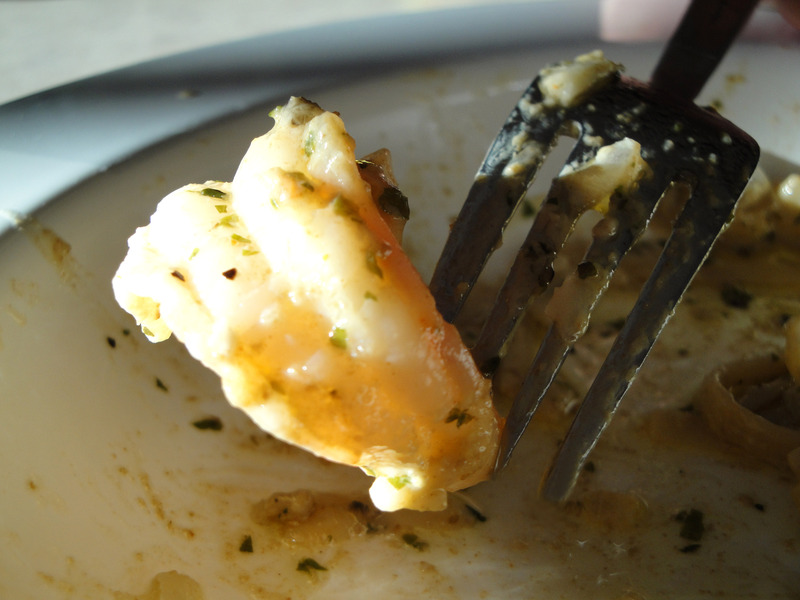 Once the butter has melted, season the shrimp with 1 tablespoon of the Essence and 1/2 teaspoon of the salt and add the shrimp to the pan. 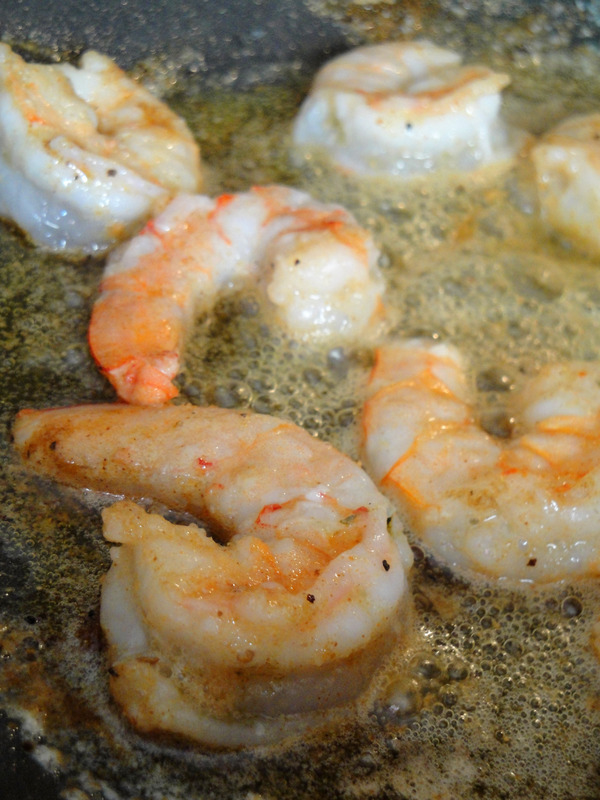 Sear the shrimp until pink, about 1 minute, then turn over and cook for another minute. 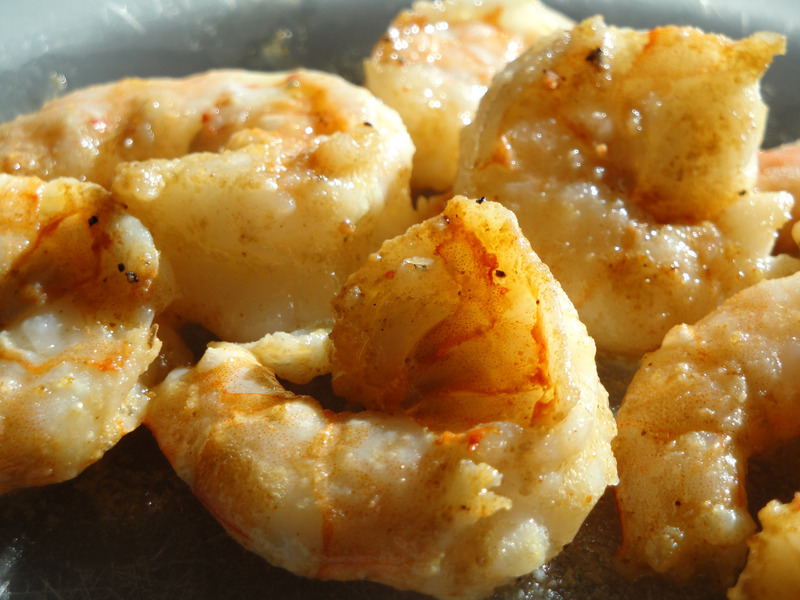 Remove the shrimp from the pan and set aside. Add the onions and saute until softened and lightly caramelized, about 4 to 5 minutes. Add the garlic to the pan and saute until fragrant, about 30 seconds. Add the cream, pesto, remaining tablespoon of Essence, remaining teaspoon of the salt to the pan and bring to a boil. Cook the sauce until the cream is reduced by half, about 2 minutes. 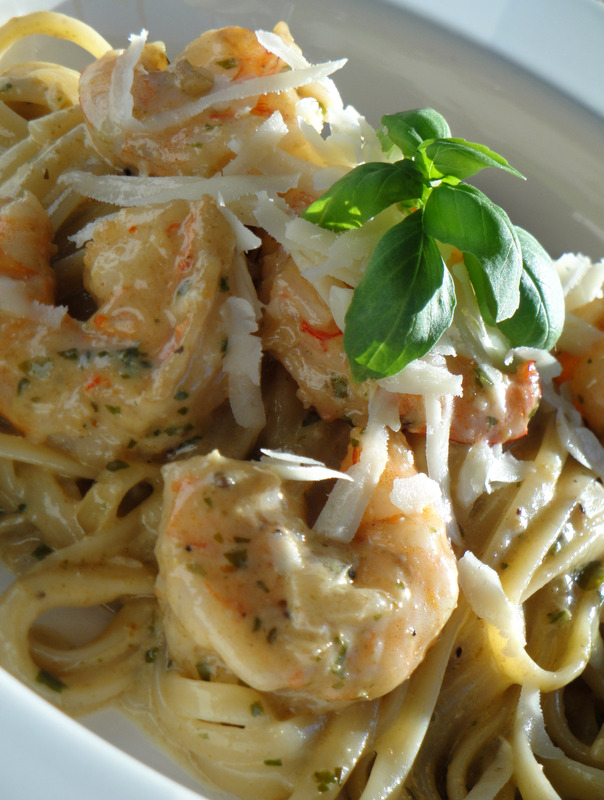 Return the shrimp, linguine and the reserved cooking water to the pan and cook, tossing to incorporate for 3 to 5 minutes. Remove pan from the heat and add the parsley and parmesan cheese and toss to blend. Serve immediately…with a chilled glass of Sauvignon Blanc! If you haven’t tried Whitehaven Sauvignon Blanc, pick up a bottle. It is amazing! Delicious…down to the last bite. LOVE IT!!!! Making it next week! great blog! Hope Ruby is ok. I made the pesto shrimp linguine tonight!!! My family LOVED it!